Buckle up, folks. The online travel agency business is about to experience some possible turbulence. Anyone who’s surfed the web looking for vacation ideas knows all too well that there’s plenty of companies waiting for the consumer’s mouse-click to go in their favor. 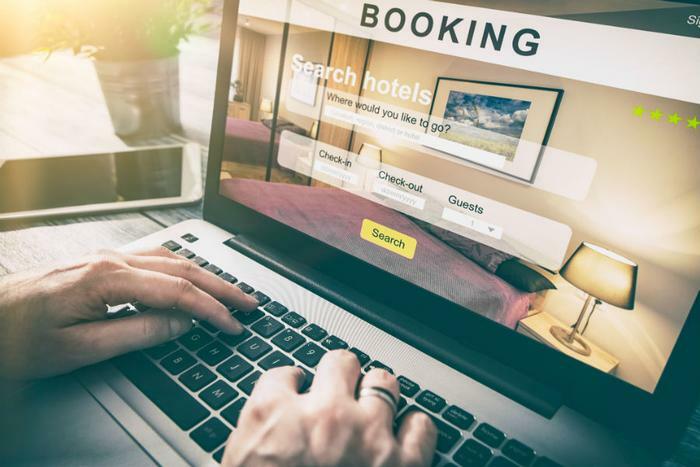 Airlines, hotels, bed and breakfasts, cruise lines, automobile rental companies, and others are at each other’s throats trying to lure their share of the nearly 600 million consumers who book some sort of travel-related aspect online. Why? Because the grass is very green on the travel playing field. Expedia -- which owns Hotels.com, Orbitz, CheapTickets, Travelocity, Hotwire and others -- pulled in $11 billion in 2018. Bookings.com -- the umbrella for Kayak, Priceline, and others -- also posted $11 billion last year. Now, the most feared elephant in any online business’ room -- Google -- has entered the vacation rental fray. On Wednesday, the company announced that it, too, is launching a platform where consumers can see and book vacation rentals as part of Google Hotel Search. “You can narrow your search with price and amenity filters, plus browse photos, read reviews and see rates and availability of the vacation rental property,” wrote Pratip Banerji, Google’s Travel Product Manager. “It's game-on in the alternative accommodations market,” Dennis Schaal, the executive editor at travel news and research site Skift told ConsumerAffairs. If Schaal is right, Google’s entrance will either make Airbnb stronger or force it to find a vacation rental pocket that Google doesn’t have its hand in, yet. Nonetheless, the goal of taking market share away from Airbnb can have a handsome payoff for Google. Since Airbnb started up some 10 years ago, it’s notched 500 million guest arrivals and a market valuation of over $30 billion. If you’re asking if Airbnb will take a hit, won’t others in the sector like HomeAway and VRBO take one, too? Yes and no. Google knows it could be foolhardy to take this on solo, so it’s setting its sights on being a friendly elephant in the room by taking the aggregator route, where it will partner with other travel planning stalwarts like Expedia, HomeAway, Hotels.com, NextPax, RedAwning, Rentals United, TripAdvisor, and VRBO. As they say, a rising tide lifts all boats. Google will make a tidy commission off of getting consumers to those sites and, in turn, those sites will presumably be happy about cutting Google in on the action for doing that. Plus, on the marketing end, Google’s partners aren’t really losing much, if anything. When a traveler clicks “Book,” they’re transported to the travel partner’s page to complete their transaction, and all property information and bookings are provided and done by those travel partners. Schaal says not to rush to judgment on Airbnb’s place in the food chain. “Although Airbnb isn't participating yet in Google's new vacation rentals' offering, Airbnb certainly could choose to participate in the future, bidding for placement like (Google’s other partners) in Google's vacation rentals' product,” he said. A shift this seismic will certainly produce changes and adjustments consumers will notice when making travel plans. The second is a new collaborative tool that allows travelers to create their own Trip Boards to like and save their favorite properties in one place. This will let consumers share travel plans with others in their travel group, ask for feedback, and vote on the ones they like best. Seems like a smart move. According to Vrbo data, 86 percent of U.S. travelers ask others for advice when planning a trip. Schaal predicts consumers might also see some movement from Booking.com as it maneuvers the playing field, trying to maintain its connection with 1,334,878 active properties in 225 countries.